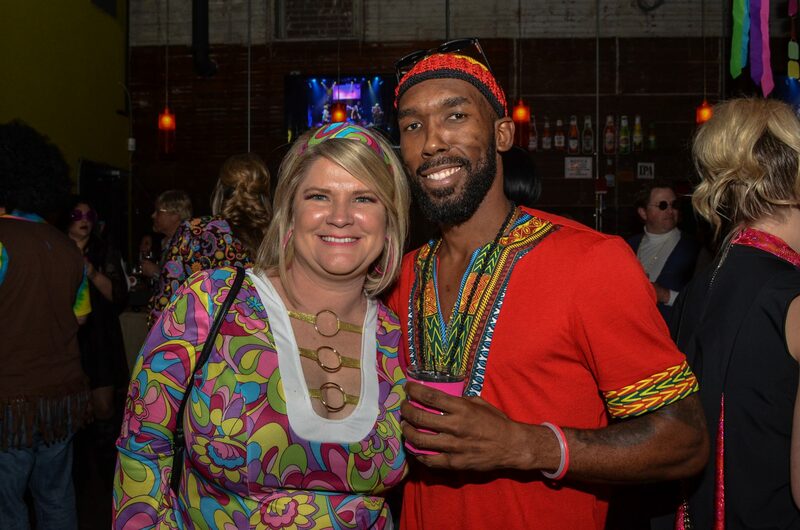 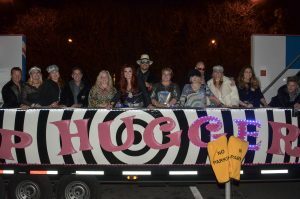 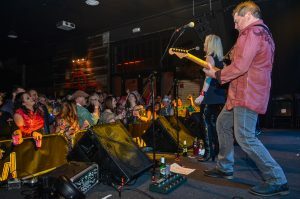 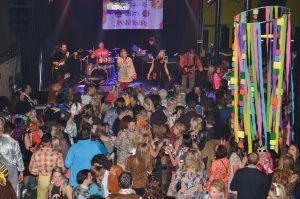 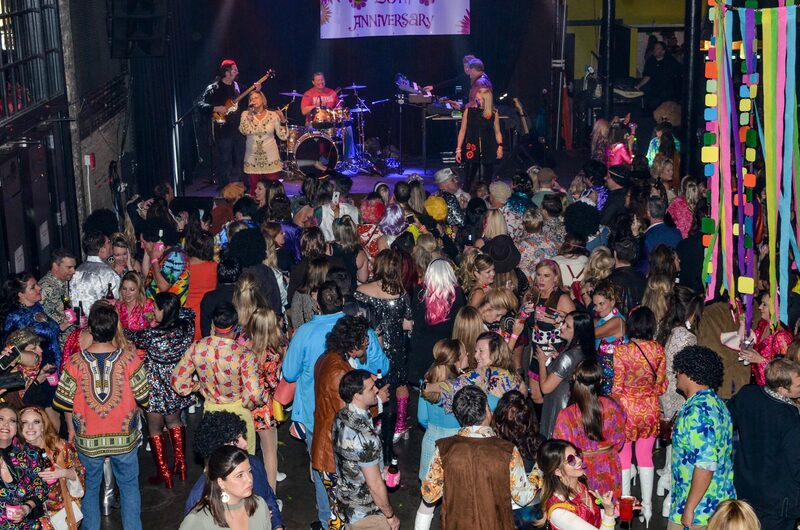 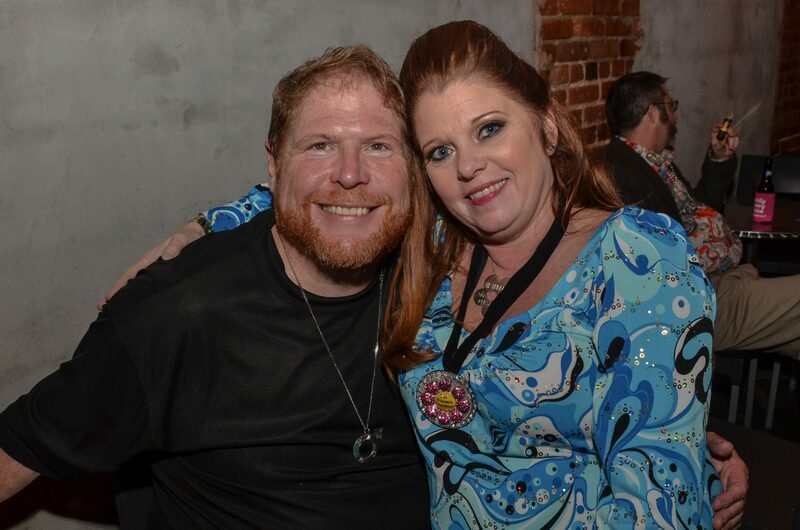 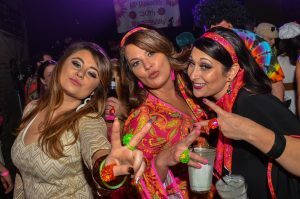 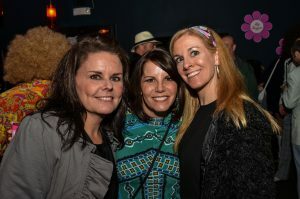 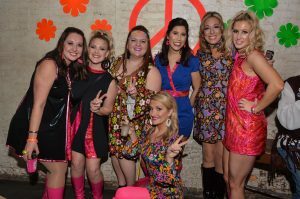 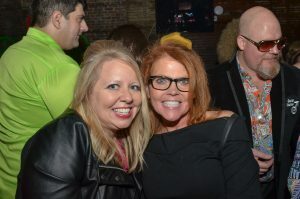 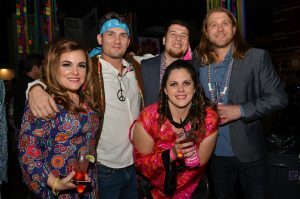 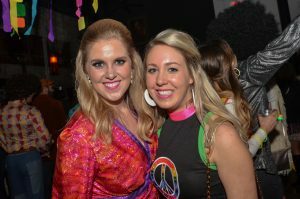 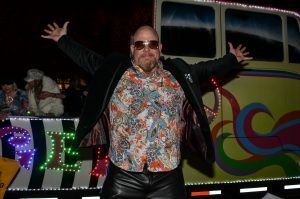 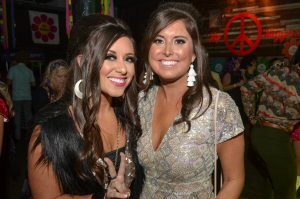 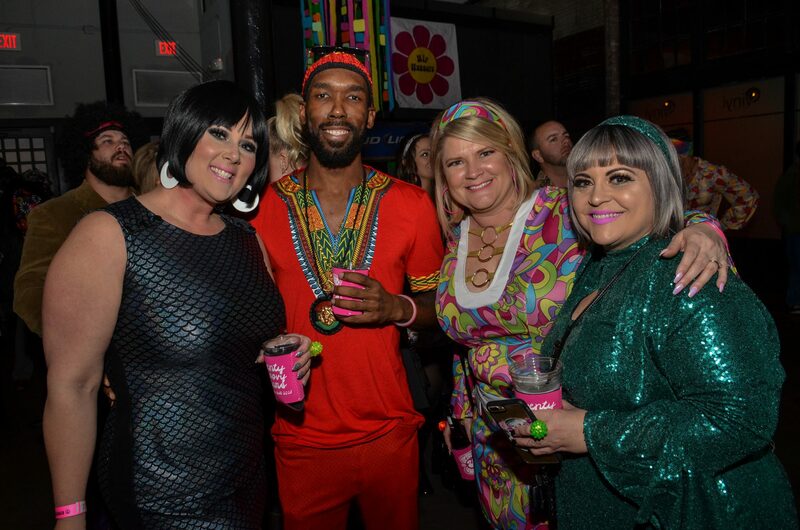 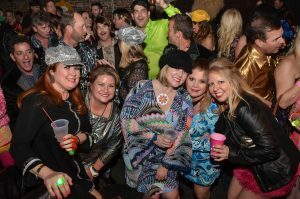 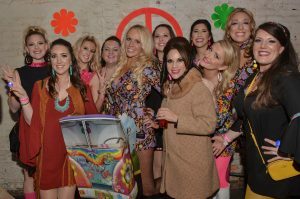 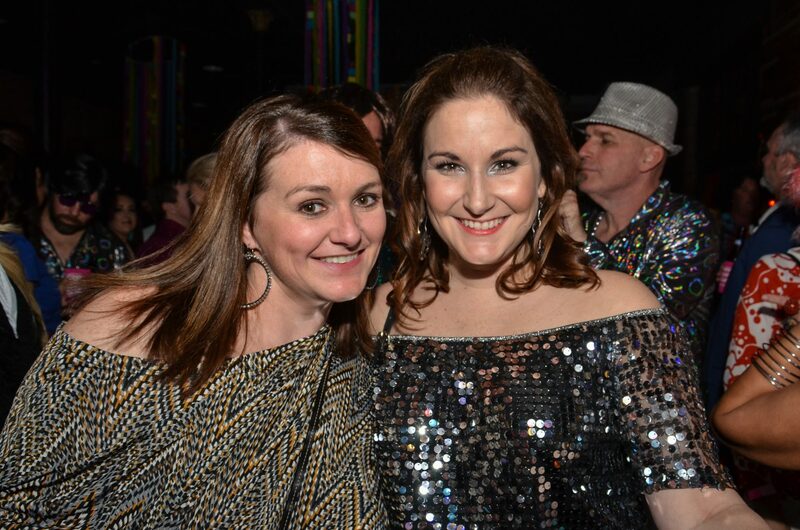 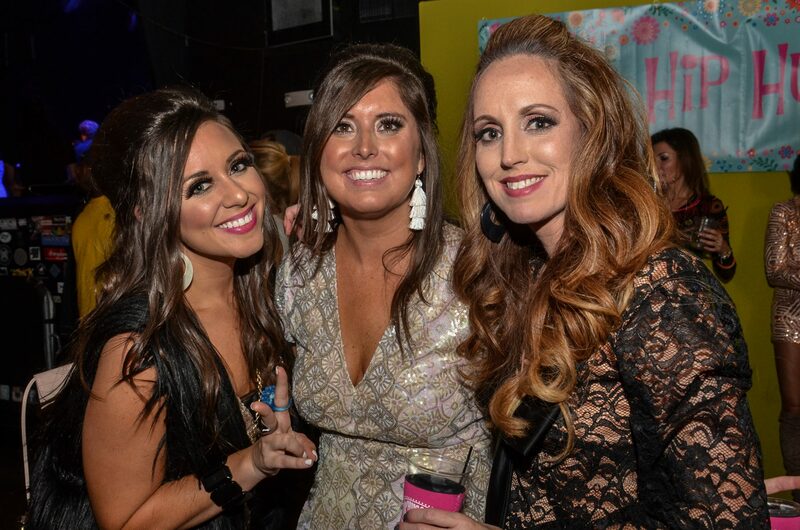 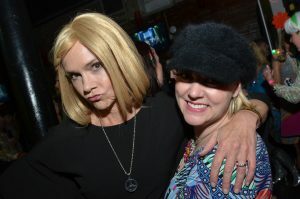 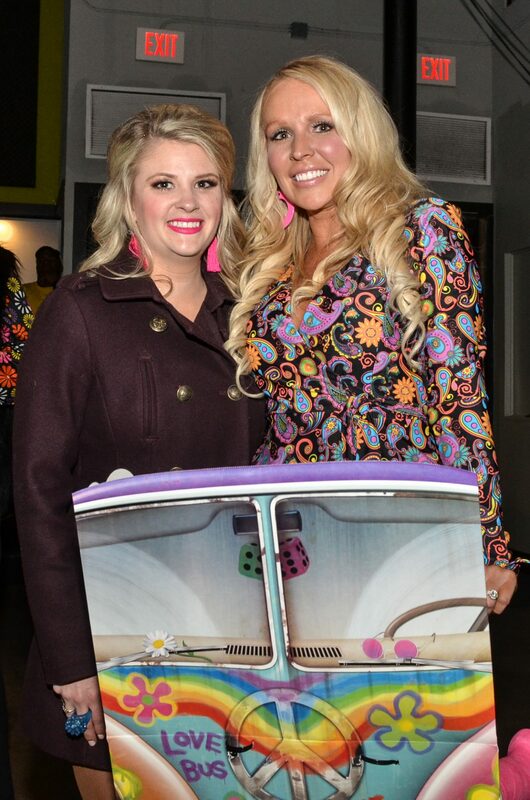 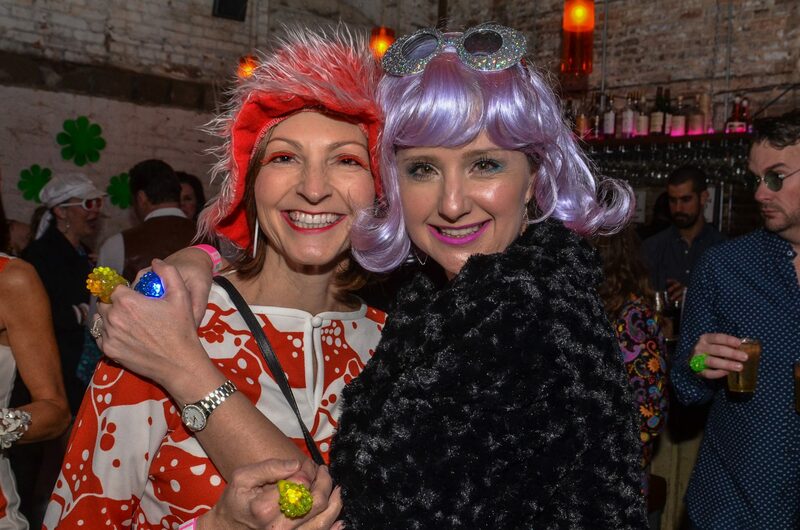 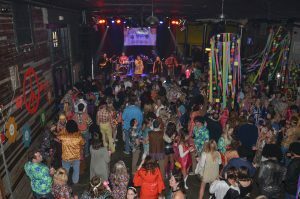 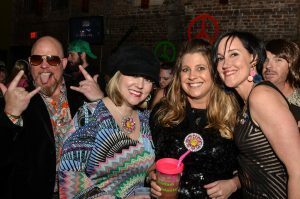 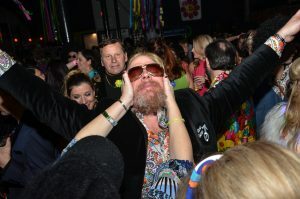 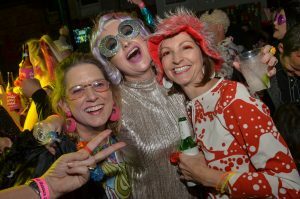 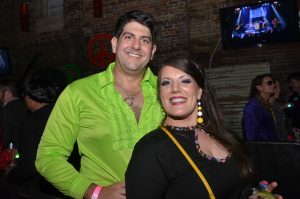 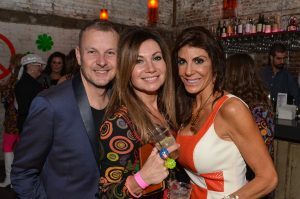 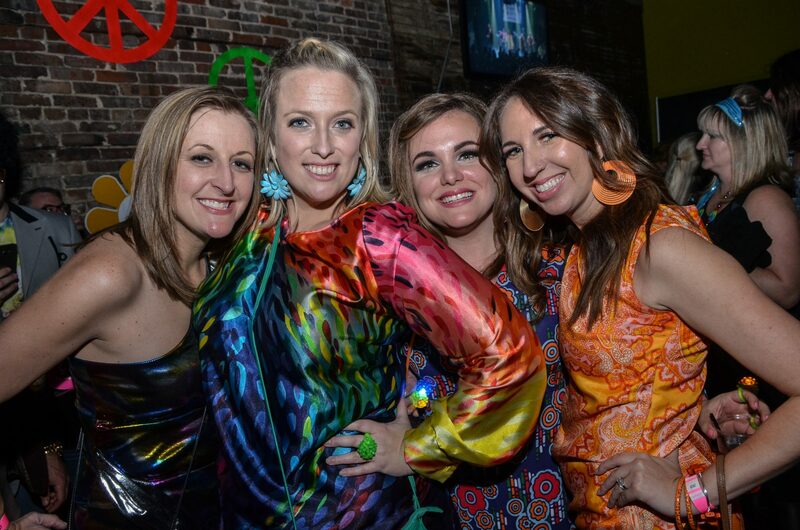 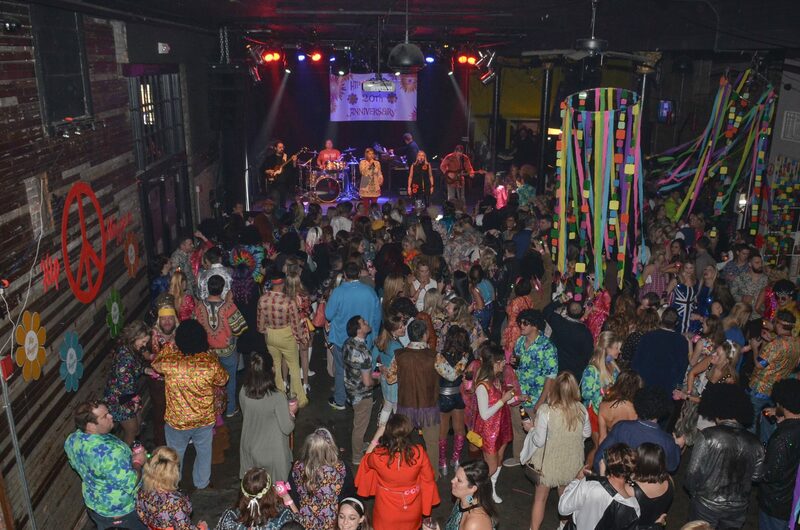 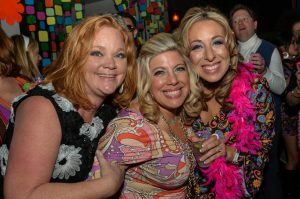 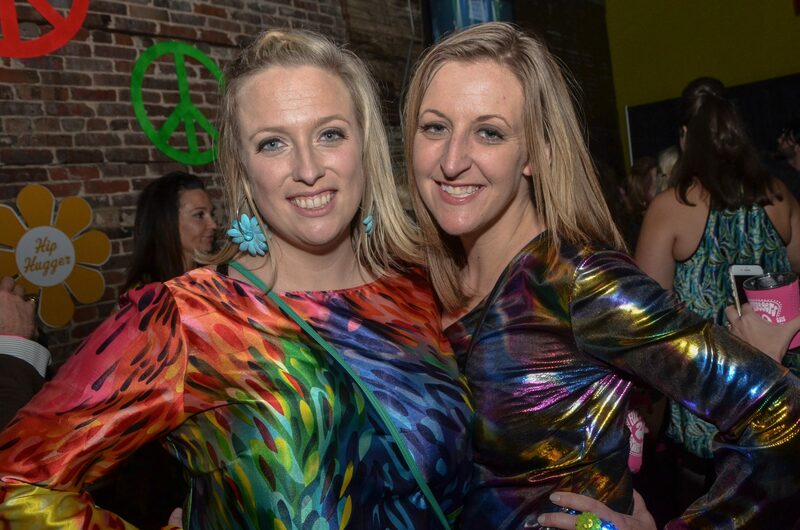 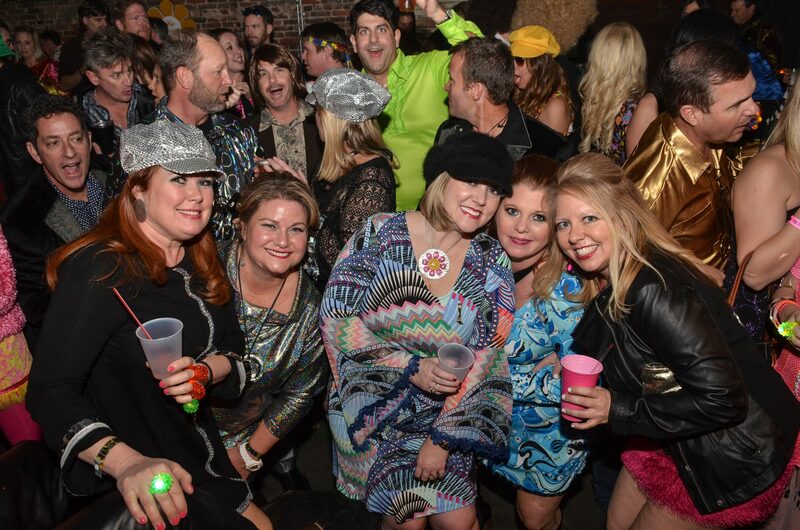 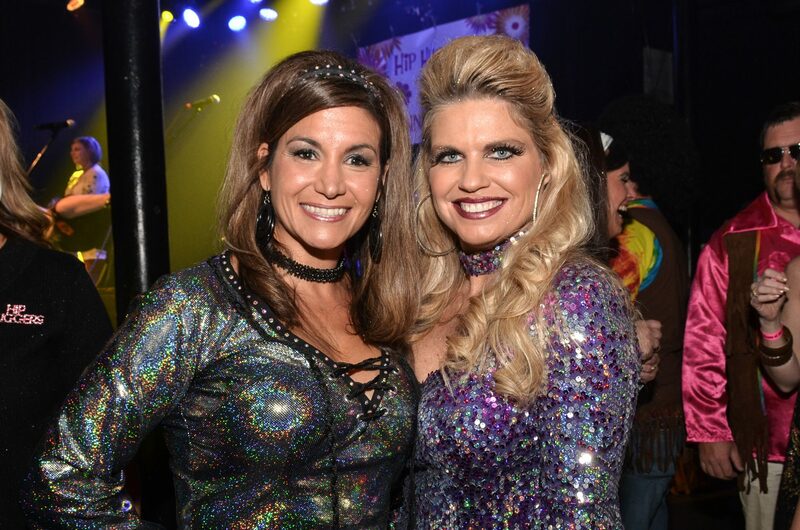 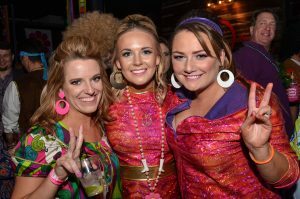 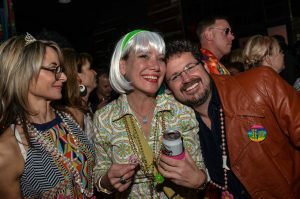 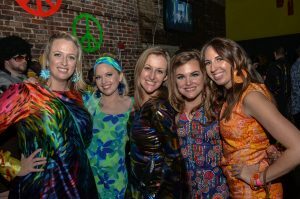 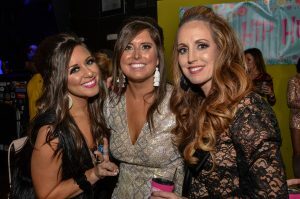 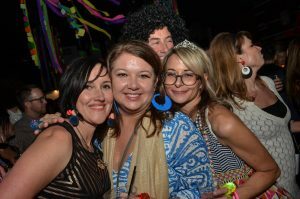 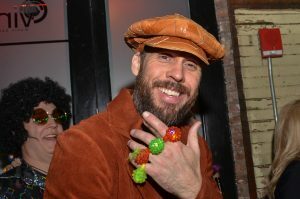 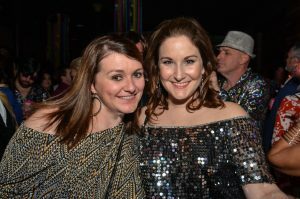 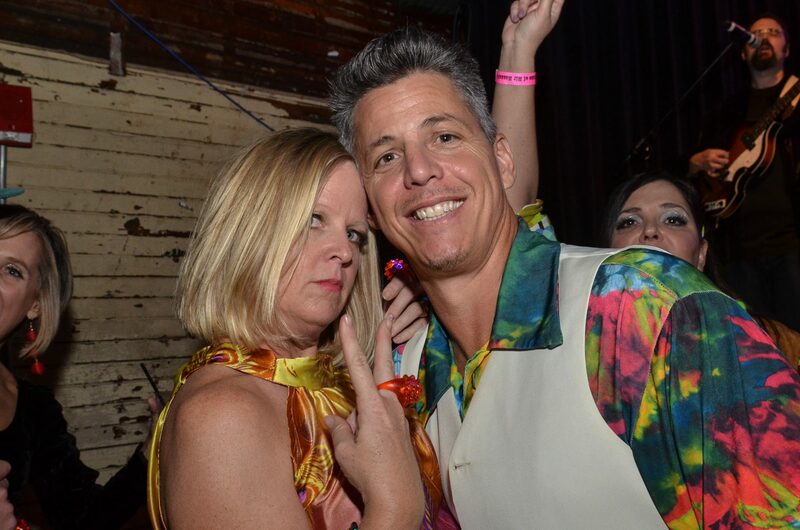 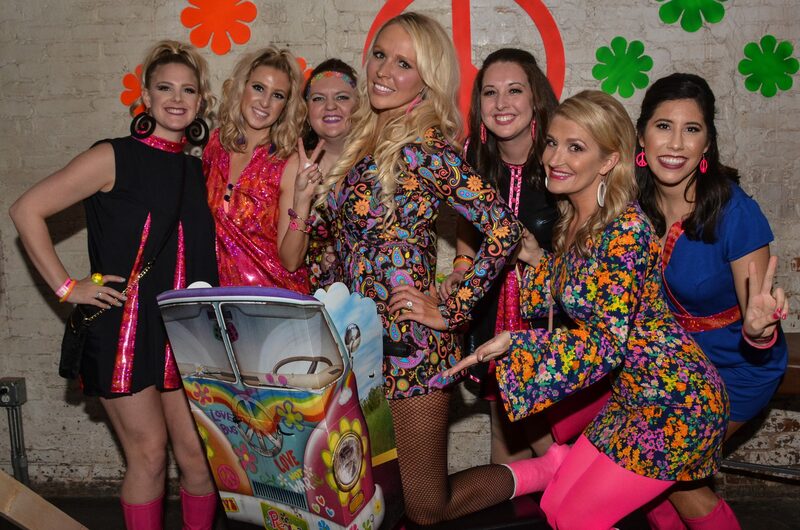 The Krewe of Hip Huggers celebrated “20 years of peace, love and boots” on Jan. 20 at Vinyl Music Hall as the all-female krewe presented its annual Mardi Gras ball. 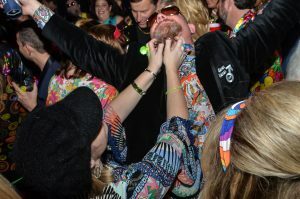 With other krewes, a “ball” can be a rather staid affair with a dinner and a dance. 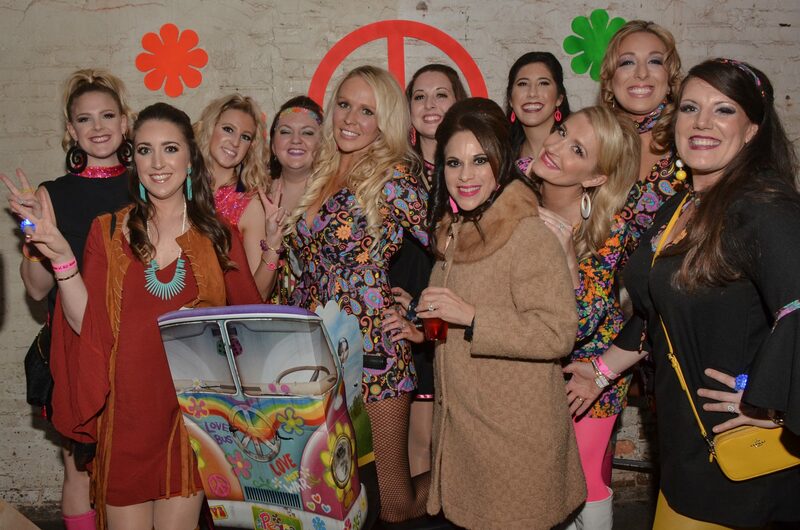 That’s not the case for the Hip Huggers, though, as these ladies throw a barn-busting PARTY! 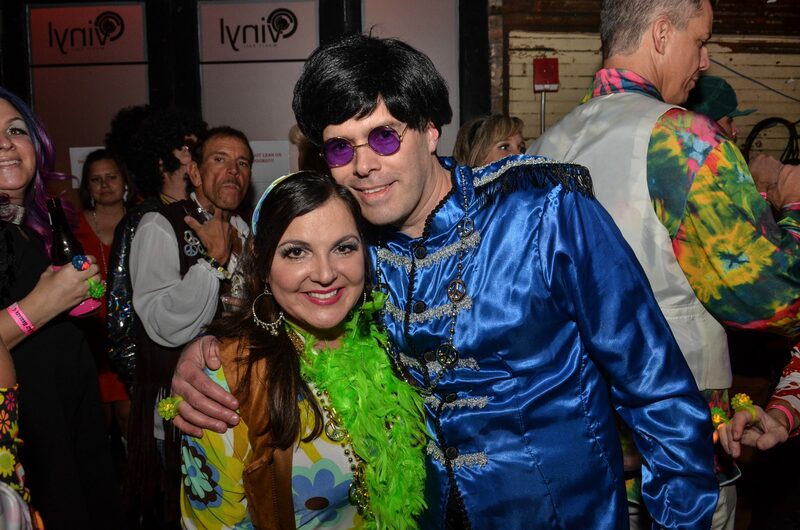 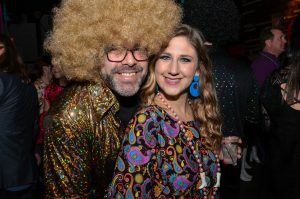 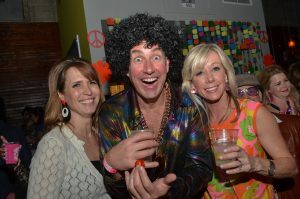 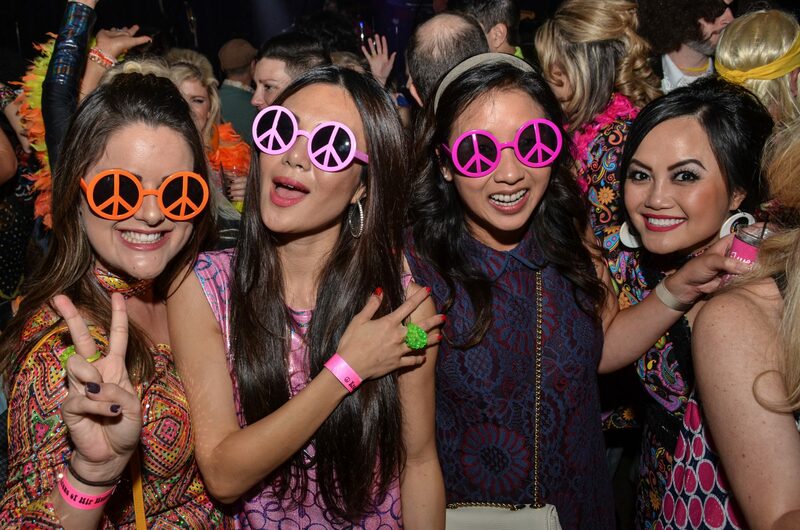 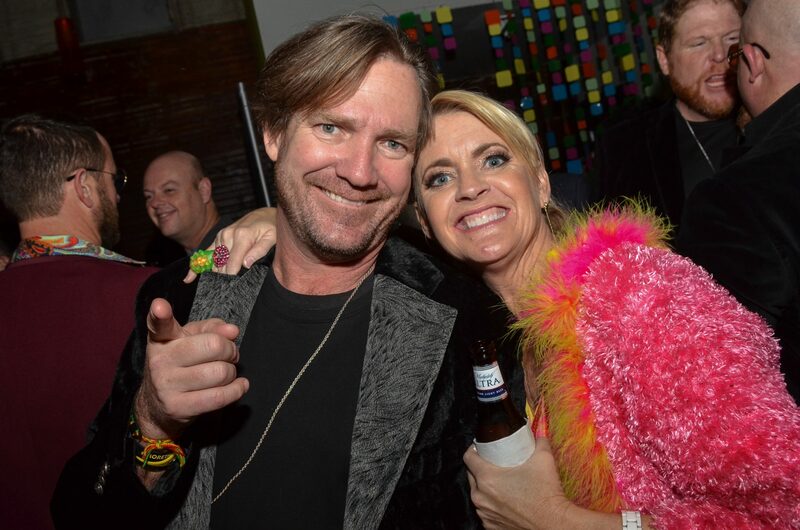 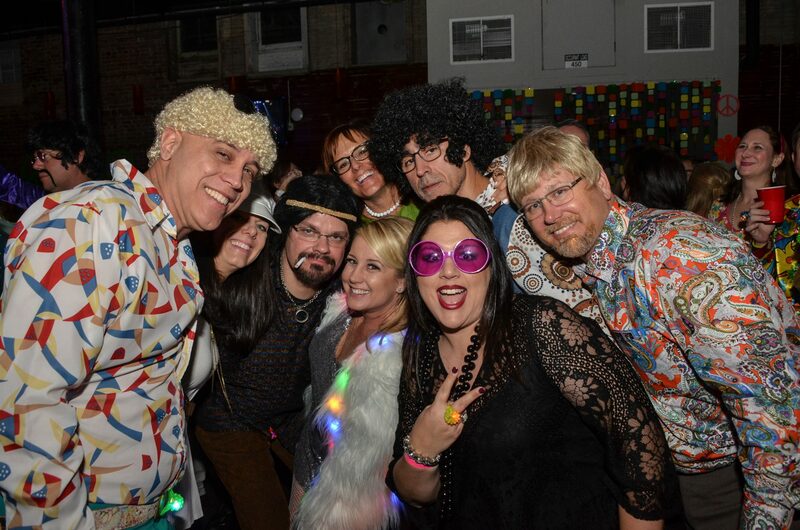 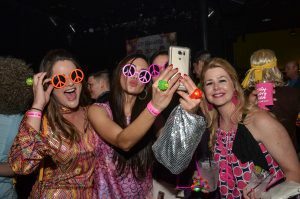 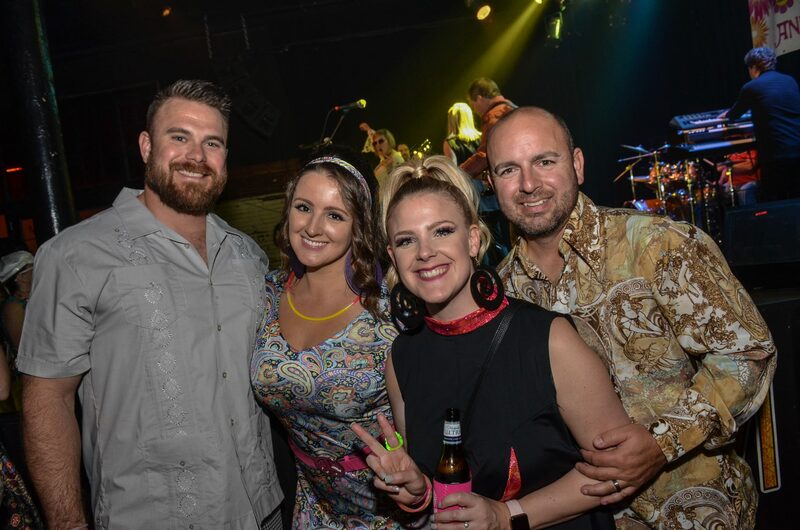 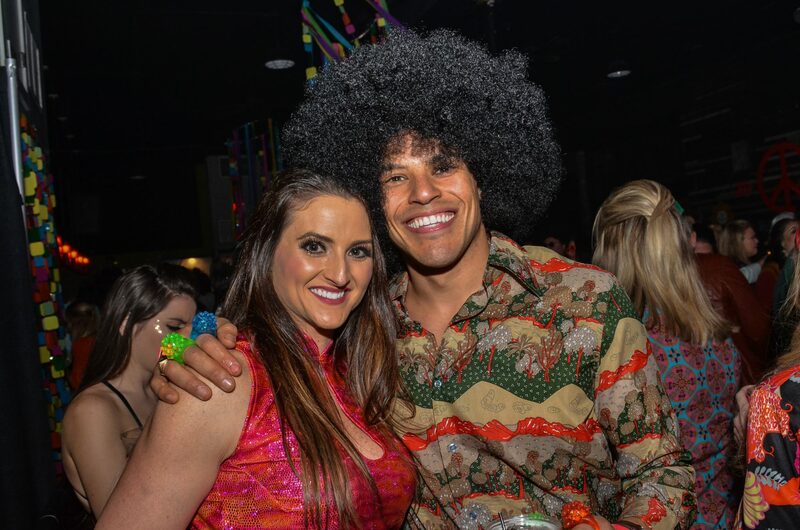 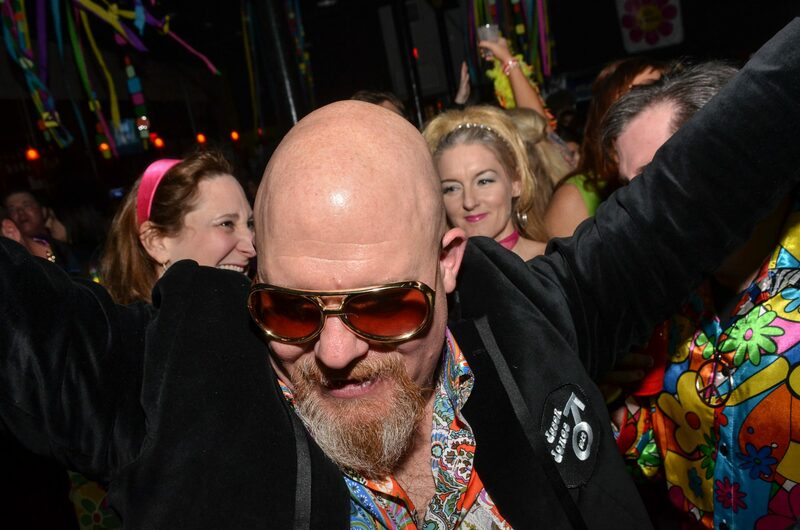 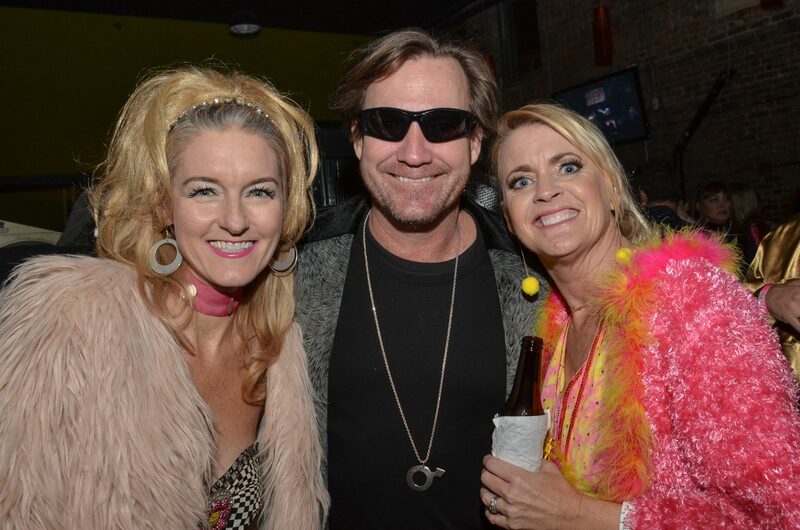 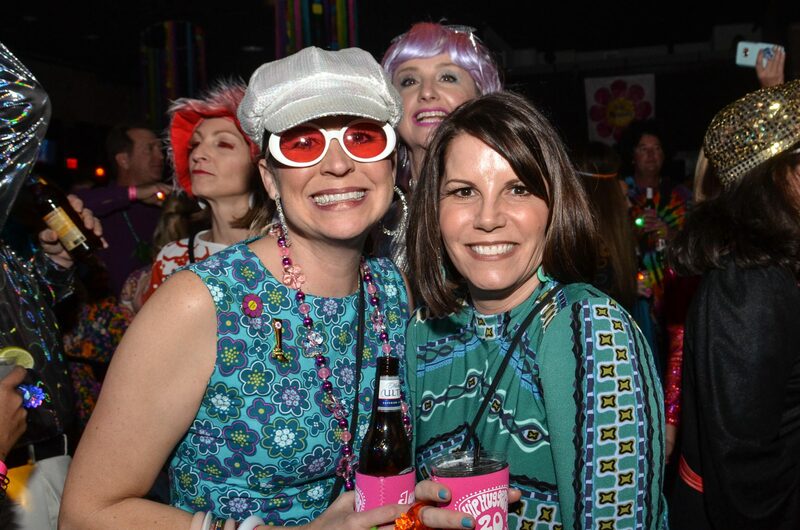 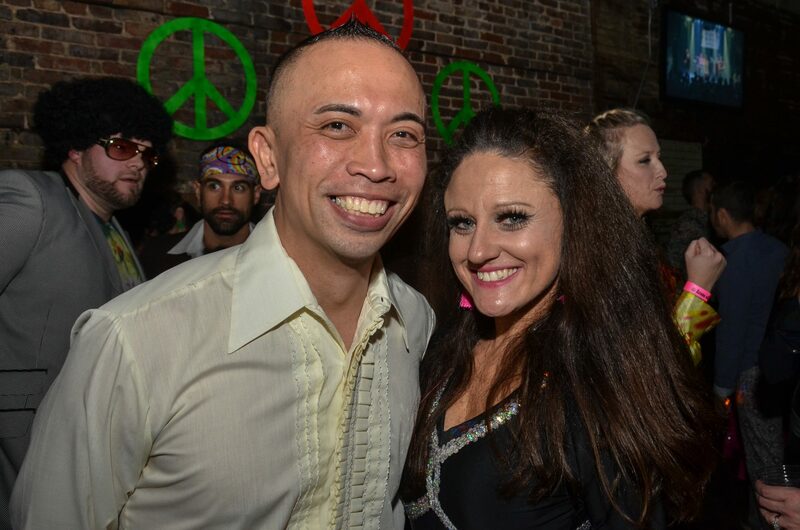 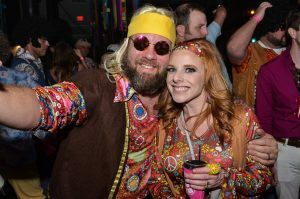 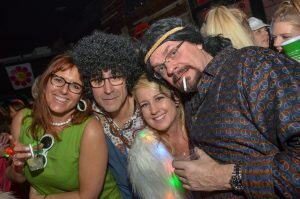 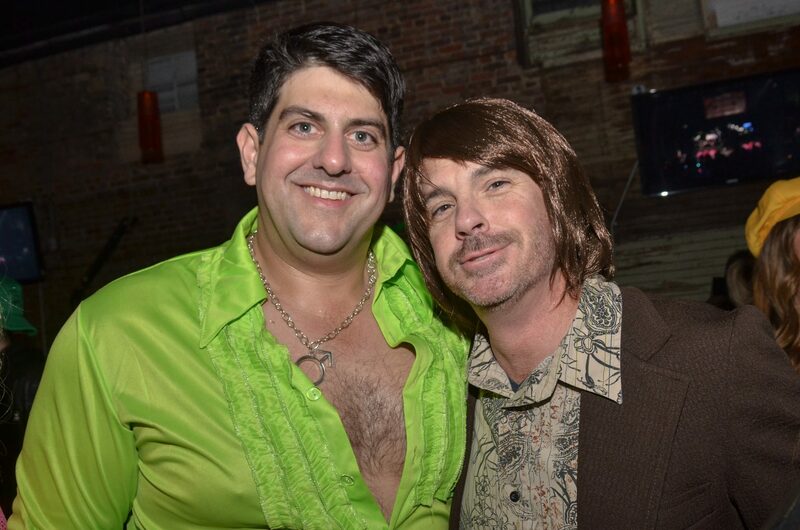 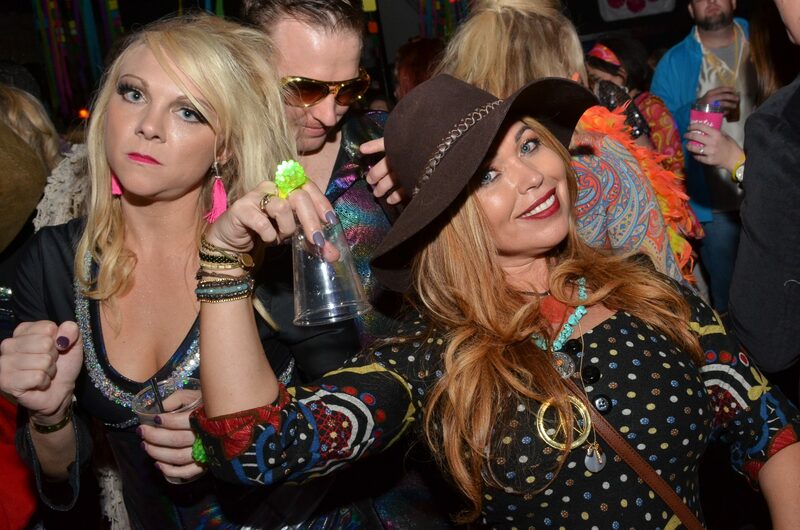 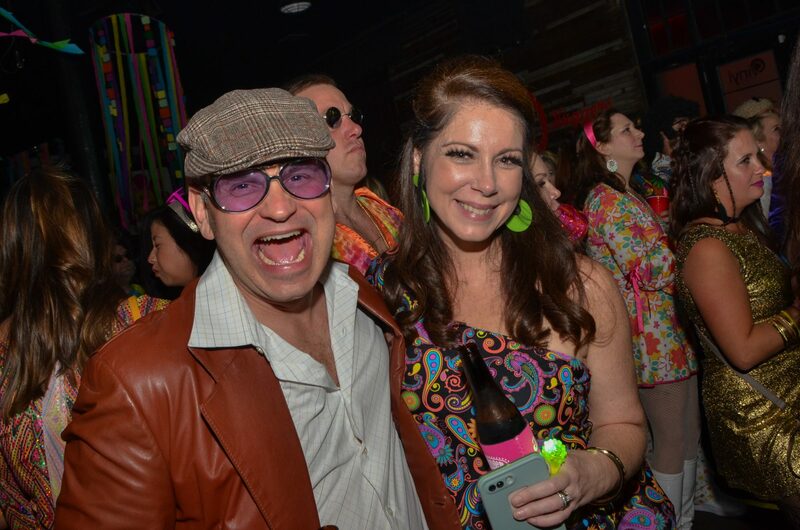 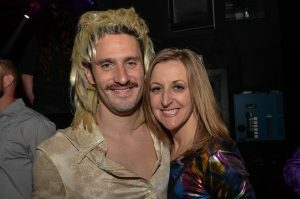 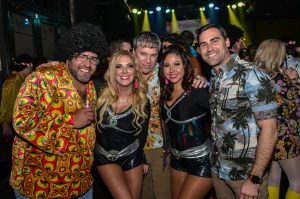 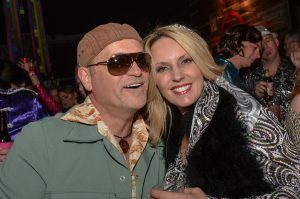 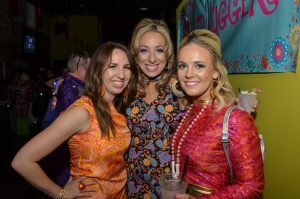 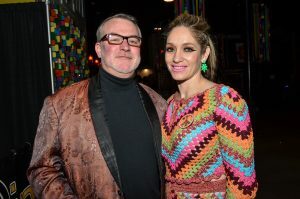 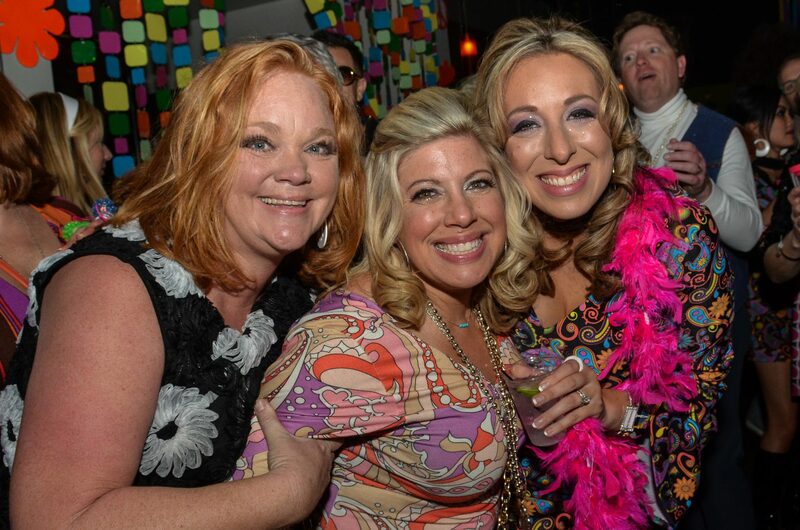 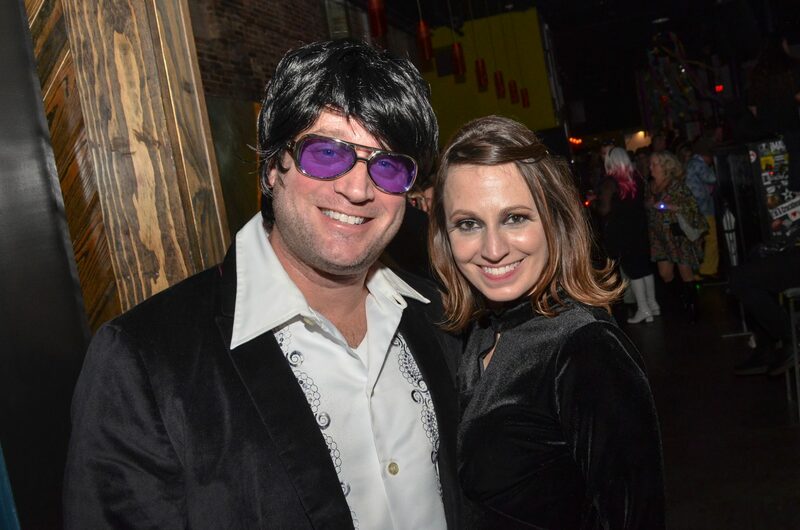 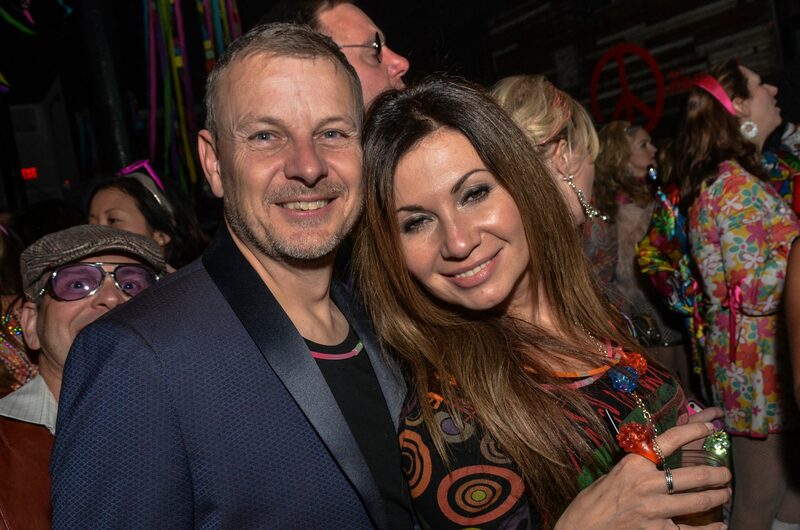 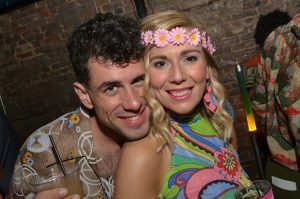 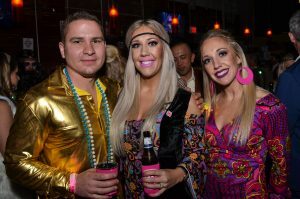 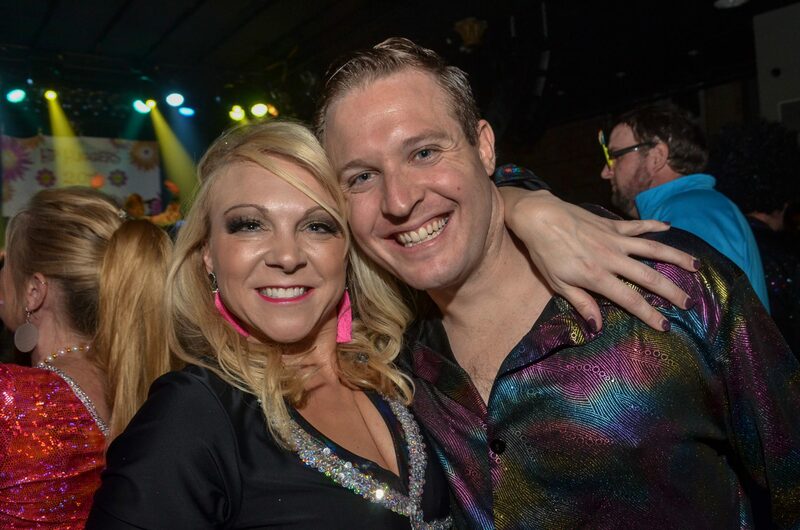 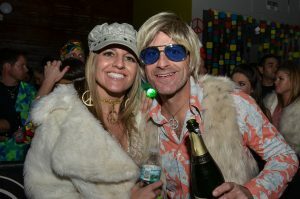 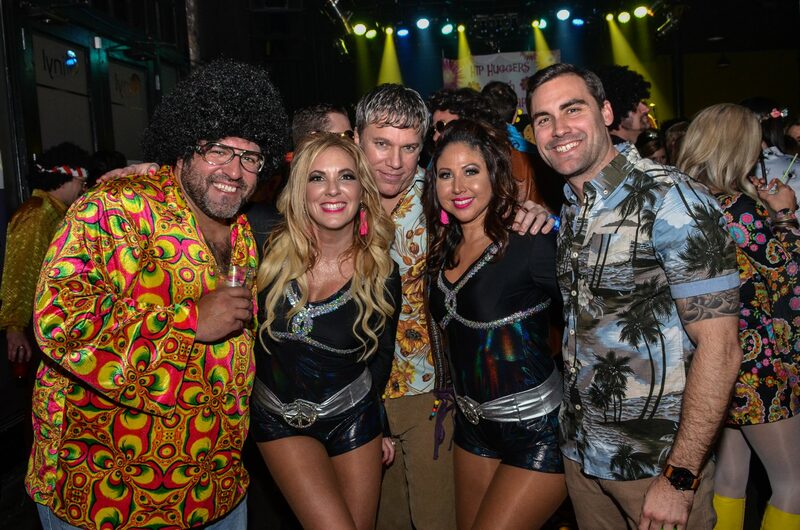 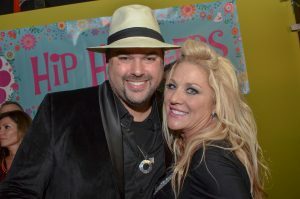 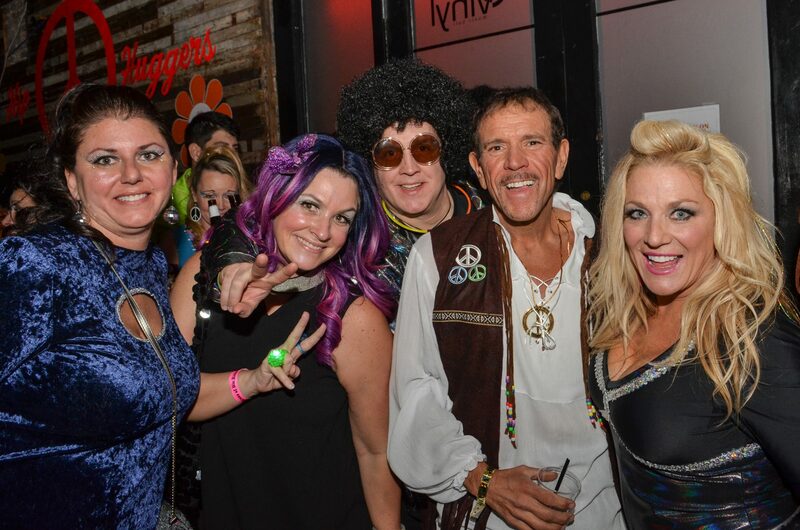 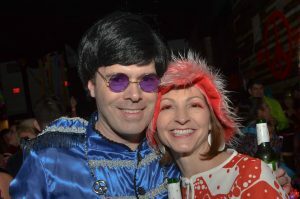 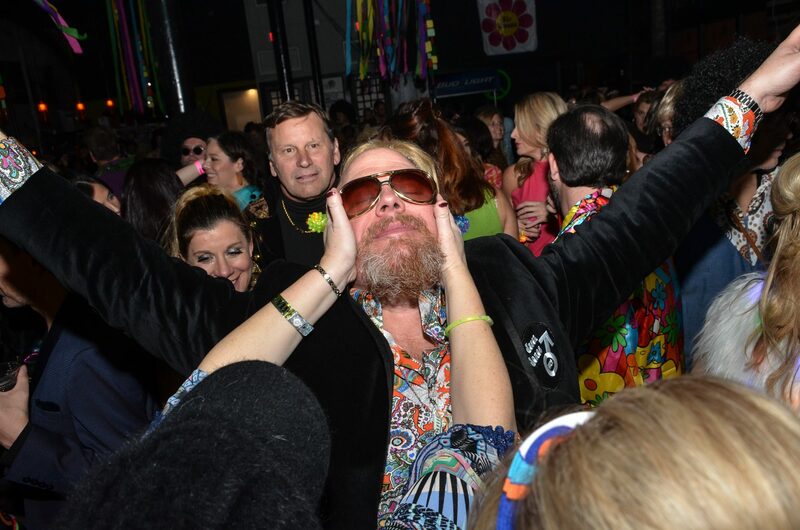 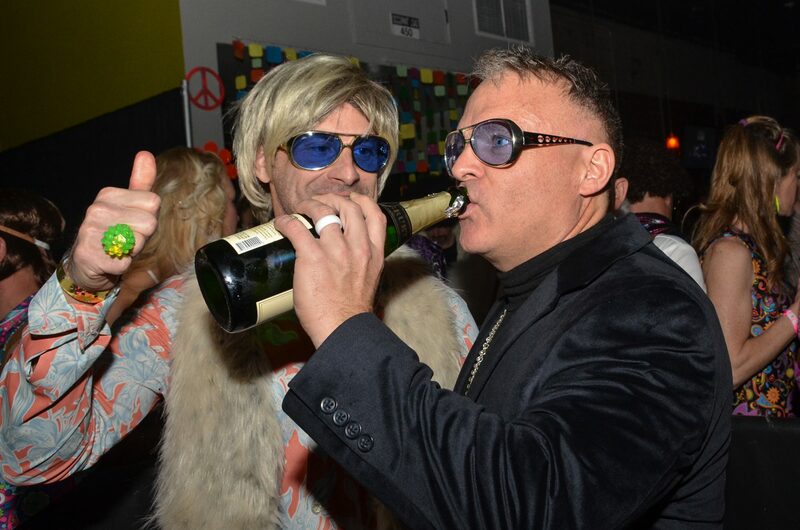 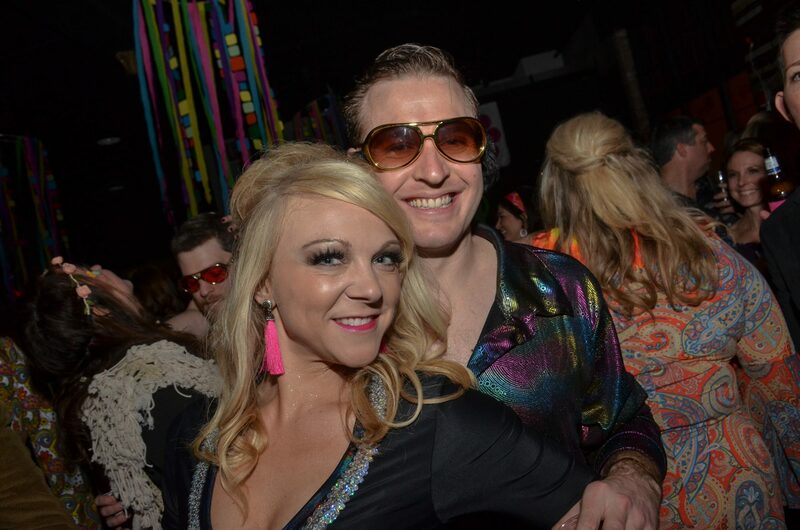 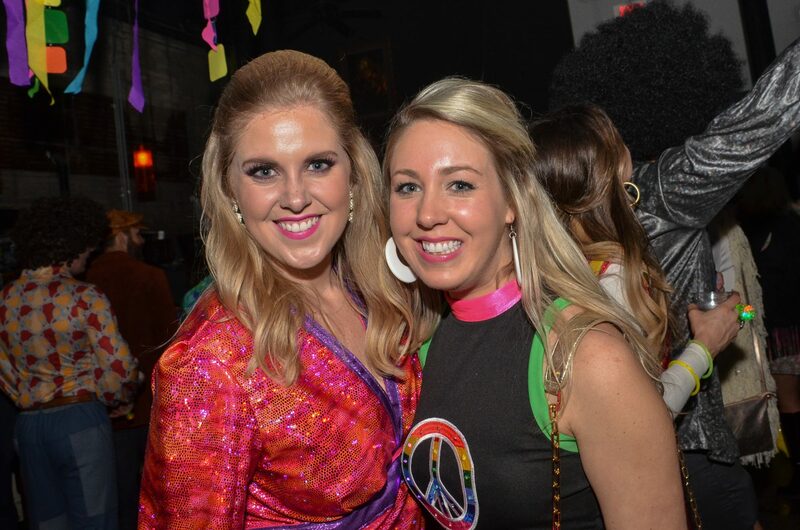 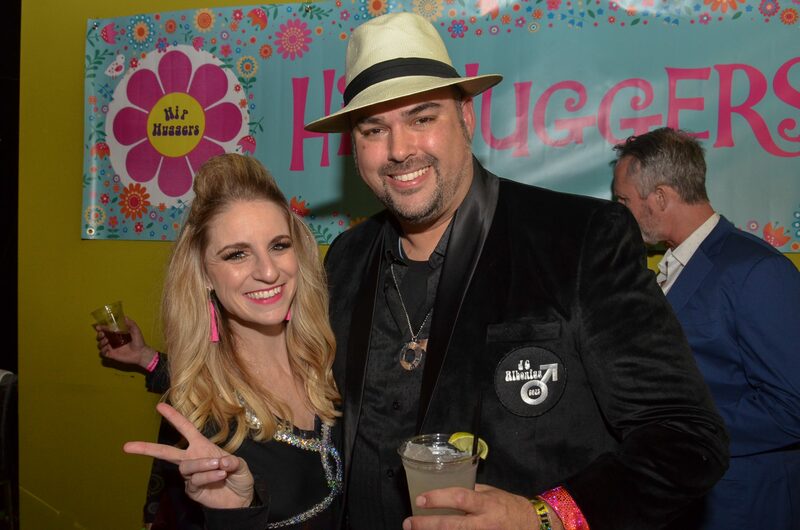 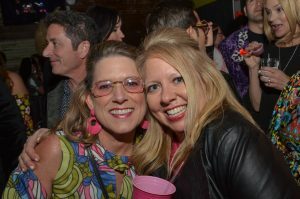 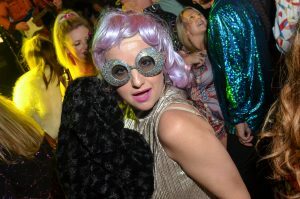 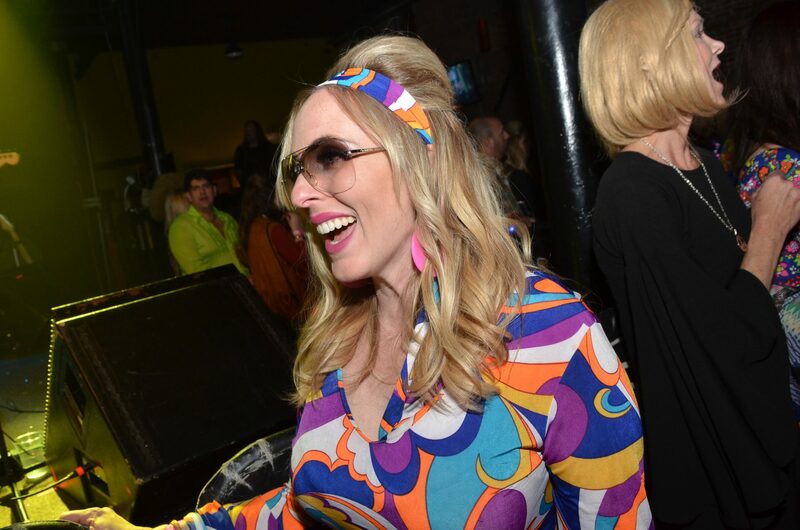 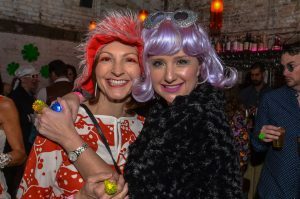 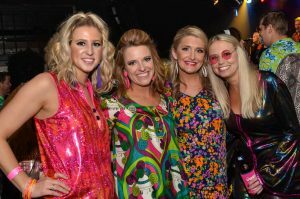 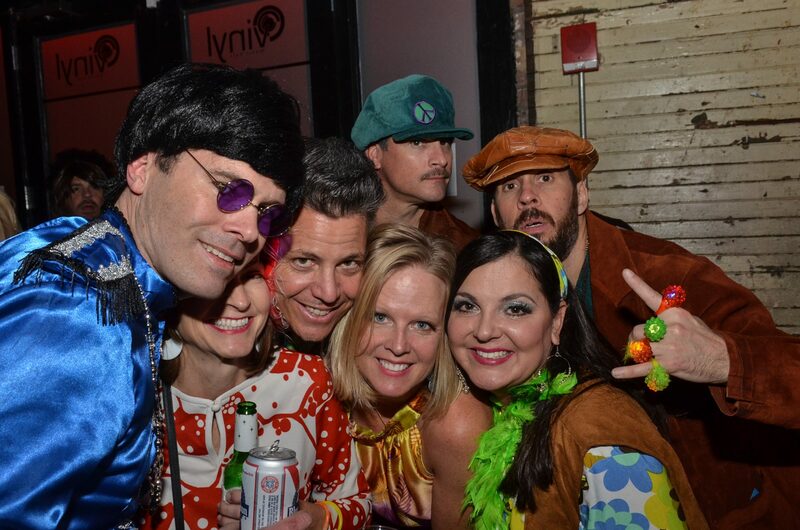 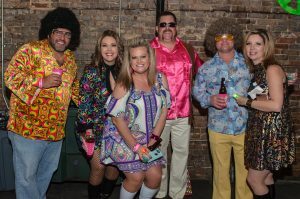 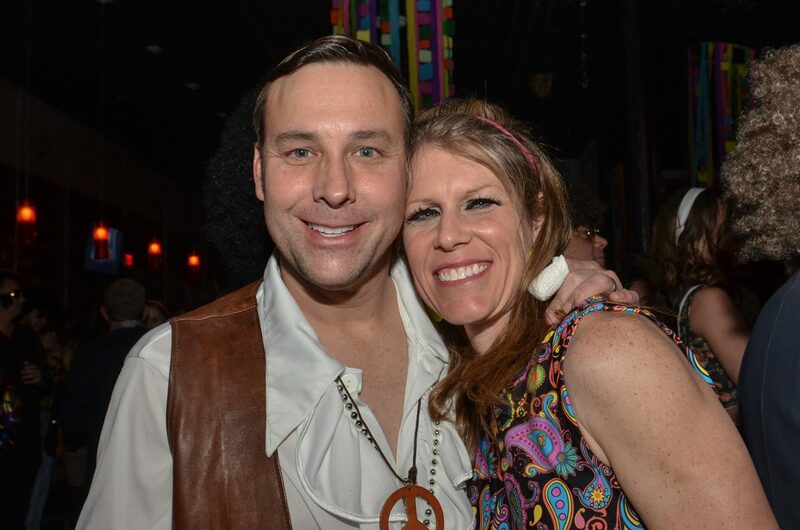 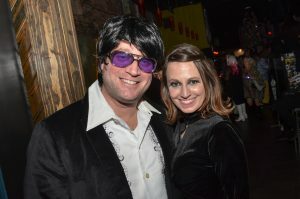 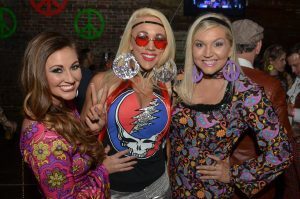 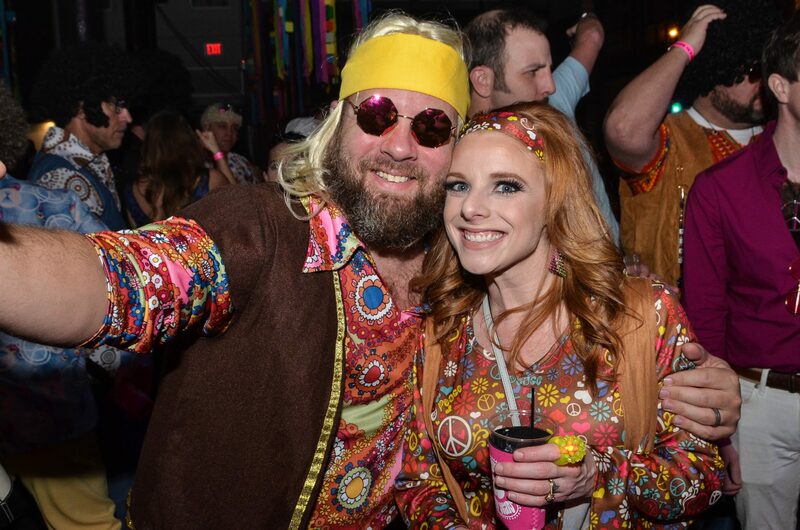 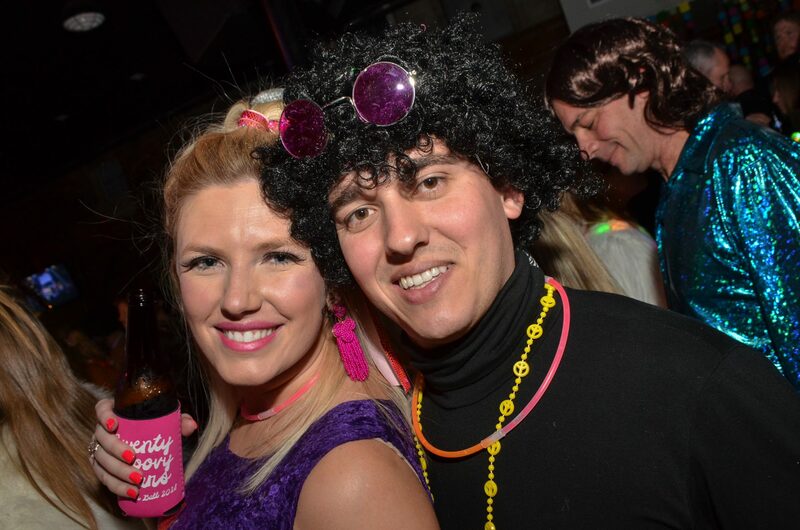 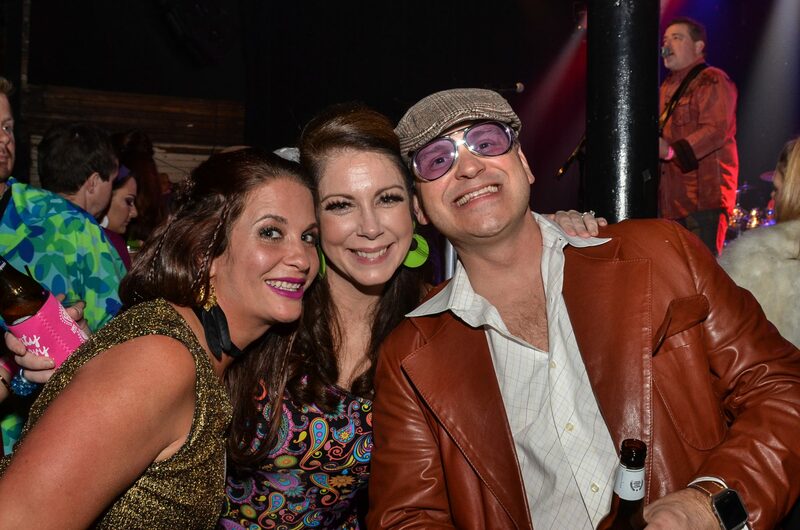 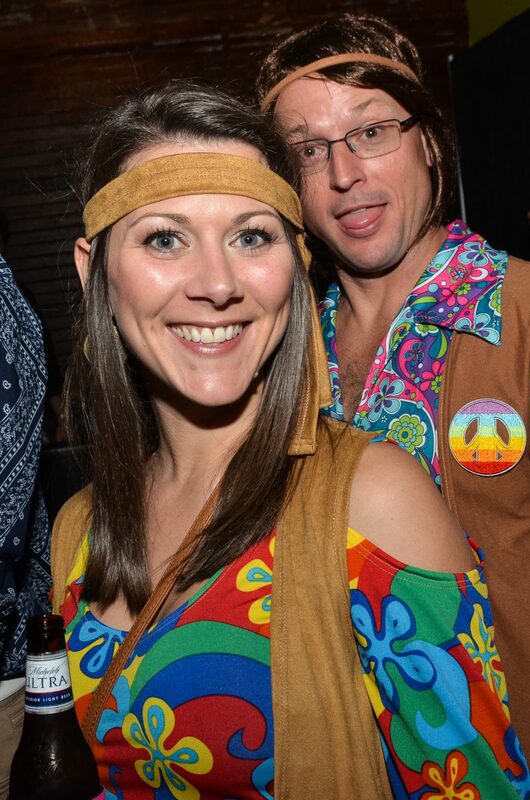 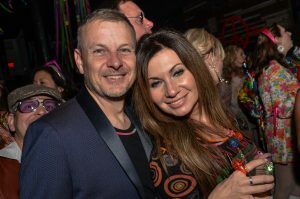 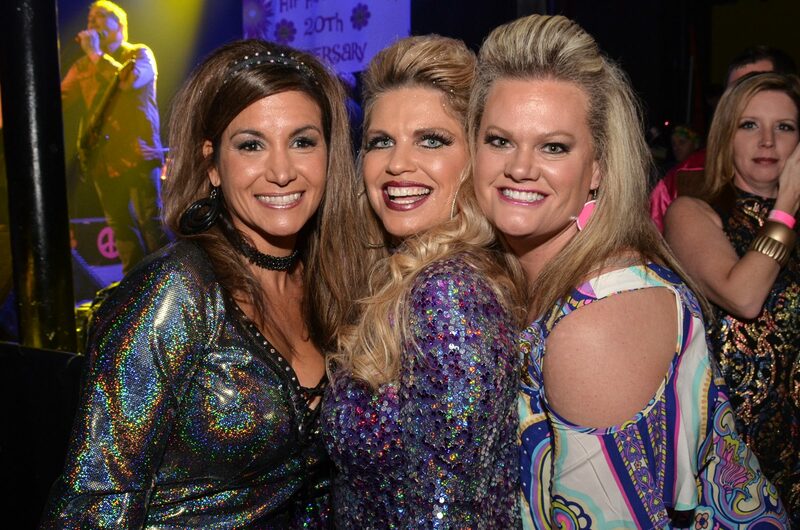 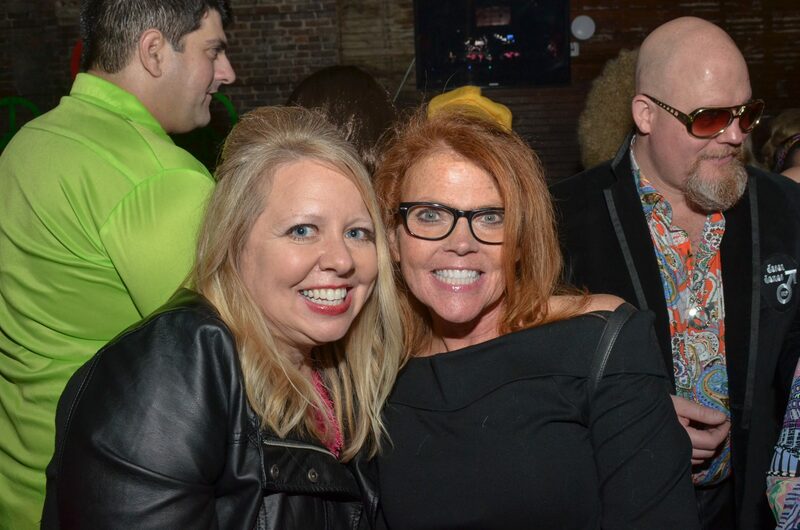 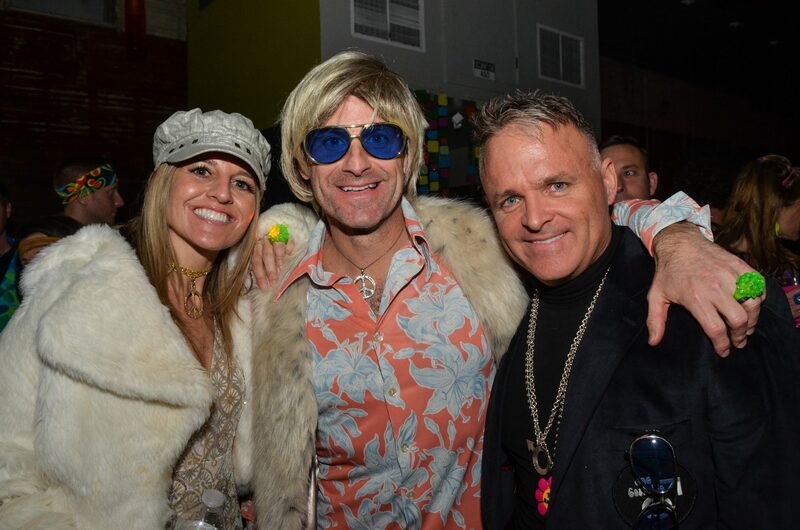 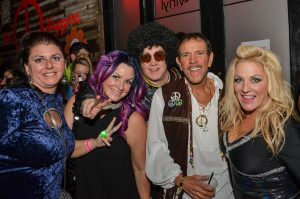 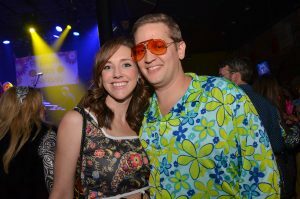 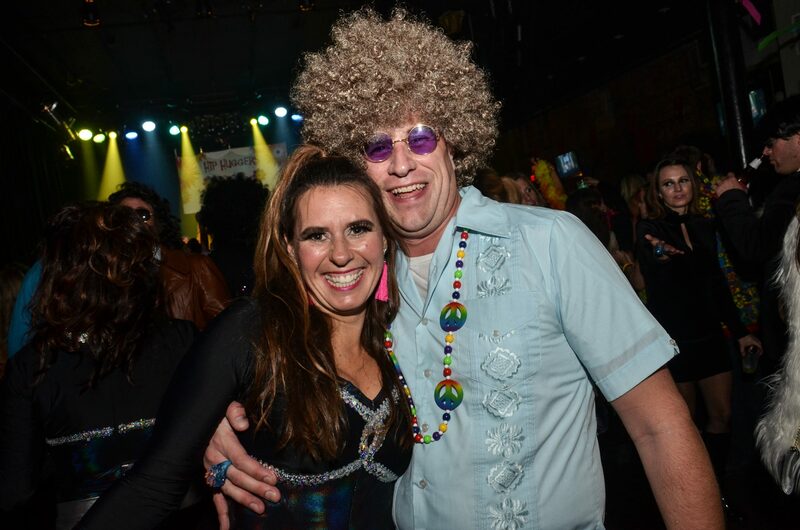 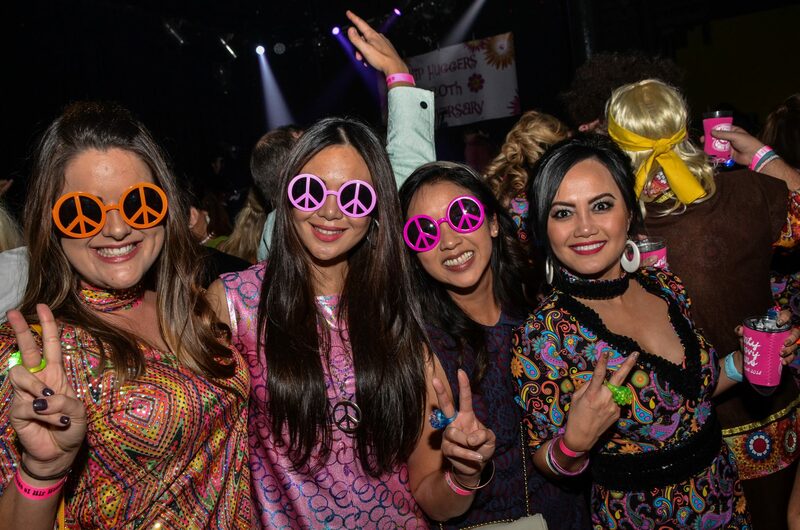 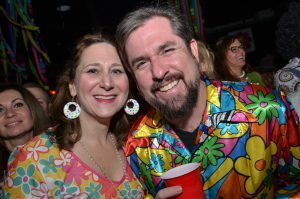 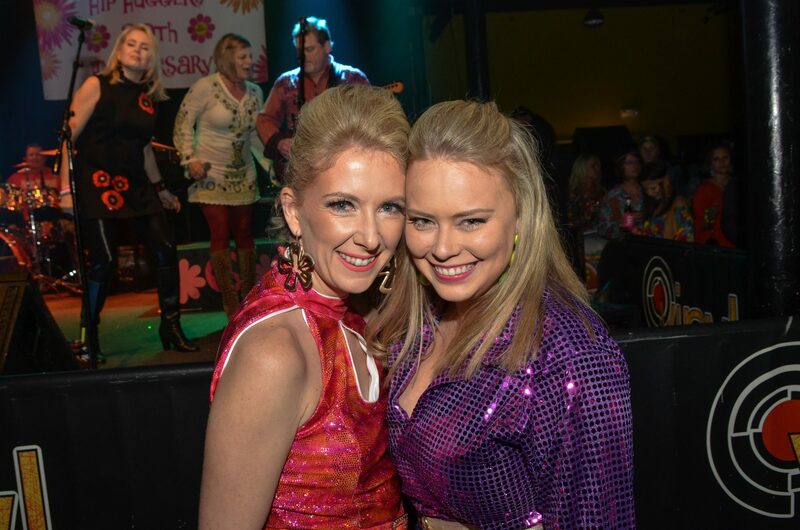 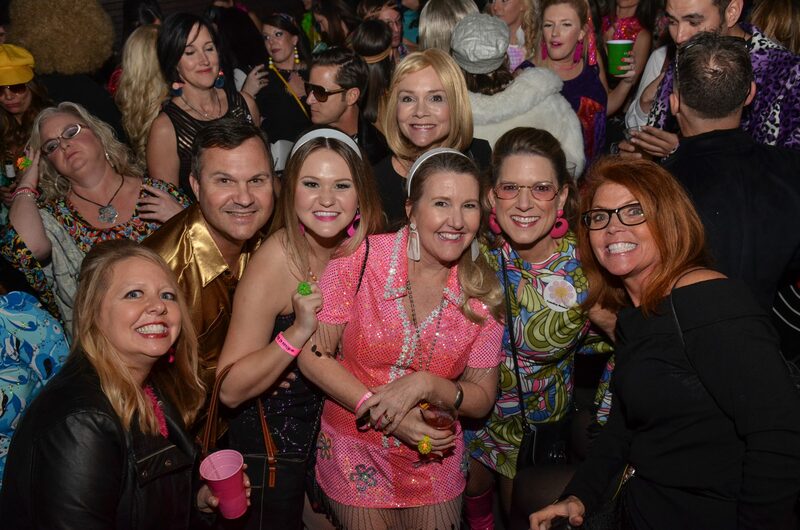 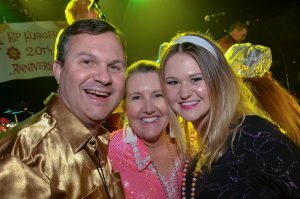 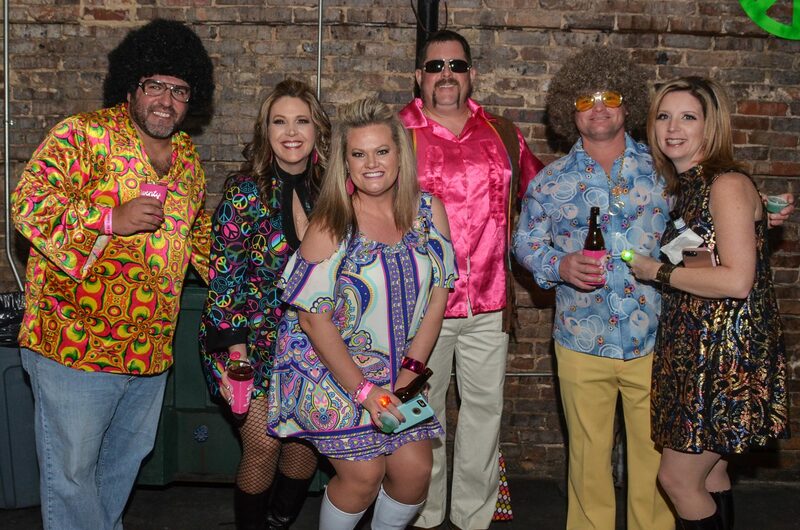 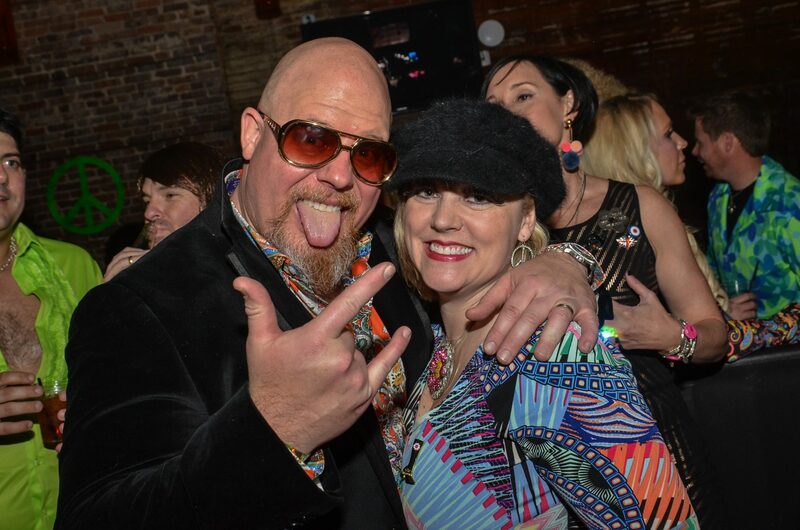 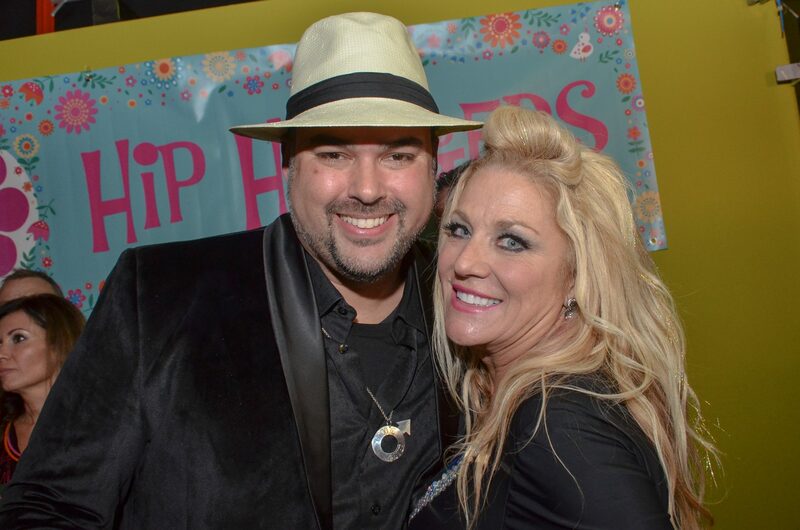 Befitting the Vinyl Music Hall atmosphere — decked out swingin’ ’60s style for the occasion — the Hip Huggers ball had the energy of a rock concert, spurred on with live music from The Astronauts, rollicking through ’80s classics that got everyone moving. 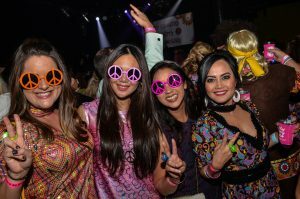 The hall was awash in flashing lights and vibrant energy as the evening built to the dance performance by the Hipsterettes and the reveal of the 2018 Groovemaster, J.C. Alboniga. 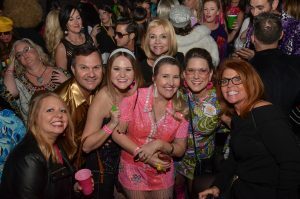 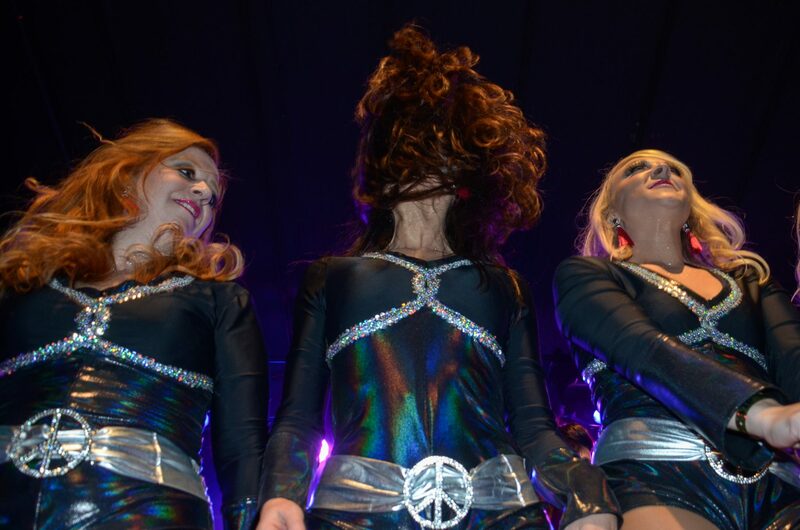 Past Groovemasters and krewe leaders were honored on stage, going back to the founders of the krewe in honoring two decades of Mardi Gras fun from this always enthusiastic group of ladies.